KMVS began it’s journey in the education sector in 1991, by running adult literacy classes for it’s women members and young girls. The classes innovated on curriculum and combined local culture with formal education. The result was a great success with many women members learning to read and write and this also resulted in better enrolments of their children in schools. More than 25 years down the line, the scenario of education has changed in the Pacham region (Bhuj block, Kutch) where KMVS began it’s journey. the proximity of schools has largely increased and guidelines of RTE has ensured enrolment. However, retention and quality of education still required attention. Hence, Janvikas (Parent body of KMVS) initiated a programme to ‘improve the quality of education’ in 12 schools of Pachham region. KMVS has supported this initiative with it’s ground level presence. 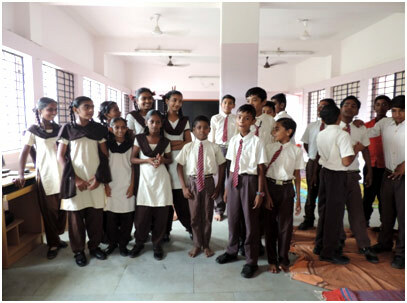 The programme adopts innovative techniques of learning basics of Maths, Science and Language. Implemented with 234 children in pre-primary section, the intervention has resulted in improved learning level for 200 children. Weekend camps, special workshops with mud work, block printing, pottery, painting and trips to historical places have ensured overall development of children. The programme also looks to associate with School management committee, local women leaders and parents of children in building overall environment of education in villages. Currently the programme is being implemented in 15 schools of Pachham region. During the reorientation process of KMVS in 2014-15, Youth was identified as one of the key stakeholder. So, when organisation decided to work on holistic vision of ‘safe district’, working with youth formed an integral part of the strategy. In a bid to understand perceptions of youth, sample study was conducted with school and college going youth. Their perceptions showed the prevailing belief, but it also showed that they are very articulate and want to be associated with developmental issues. Along with this workshops, collective events like Safety fairs, drawing exhibitions, debates, quiz etc. have also been held in association with schools. Each event has showcased creativity, critical thinking and passion the youth derives on such subjects. As a culmination of their understanding, youth also developed a declaration for their safety and gave it to various officials from police, education department and child protection departments. 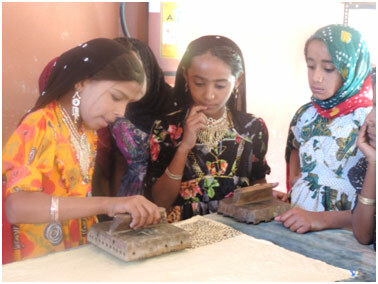 Such workshops will be continued in coming year in other blocks of Nakhtrana and Mundra. Along with this, youth centres are also envisaged to continue the processes at village level.